We are proud to say that we have received accreditations by the British Council, and that we are certified by ISI (the Independent Schools Inspectorate), a member of English UK and UKCISA, and a UK Visas and Immigration Tier 4 Sponsor. School accreditations: ISI is the agency approved by the UK Visas and Immigration to carry out Educational Oversight inspections of Private Further Education Colleges and English Language Schools in England and Wales. This achievement shows our continuing commitment to delivering “High Quality Education with Personal Attention”, as well as excellent levels of support and welfare for our students. It is the highest possible set of results. Click on the above ISI logo to see the full reports. 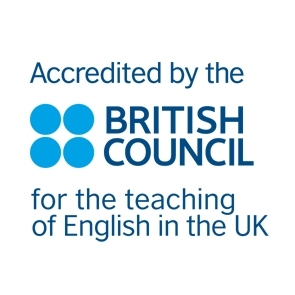 Nacel English School is accredited by the British Council Accreditations UK, which is a quality assurance scheme for the teaching of English as a foreign language. To obtain accreditation, Nacel English School had to pass British Council inspections. Please visit the British Council website for further information on accreditations. Nacel English School is a member of English UK, which is the world’s leading language teaching association of accredited language centres, and has a strict code of practice which we follow. Membership is only granted to language schools accredited to the highest standards; ensuring the best teaching and care for students. Our staff attend English UK training days and educational conferences. We are also a member of English UK London. Please visit the EnglishUK website for more information. Nacel English School is a UK Visas and Immigration Tier 4 Sponsor, and is listed on the UKVI Register of Sponsors (under Twin Towers English College); which means we can sponsor students applying for visas under the Tier 4 Points-Based system. To achieve this, we had to pass the strict ISI Inspections and adhere to the strict regulations of the UK Border Agency.